The Rebel Sweetheart. 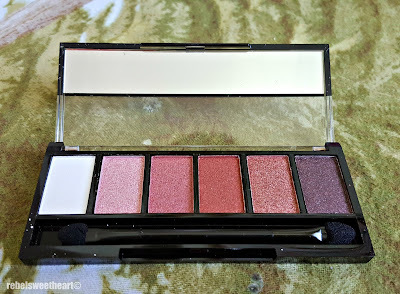 : Spotlight | Ever Bilena Eyeshadow Palette. Spotlight | Ever Bilena Eyeshadow Palette. When I came home from my Korea trip a few weeks ago, a bunch of packages were literally waiting for me at my doorstep. 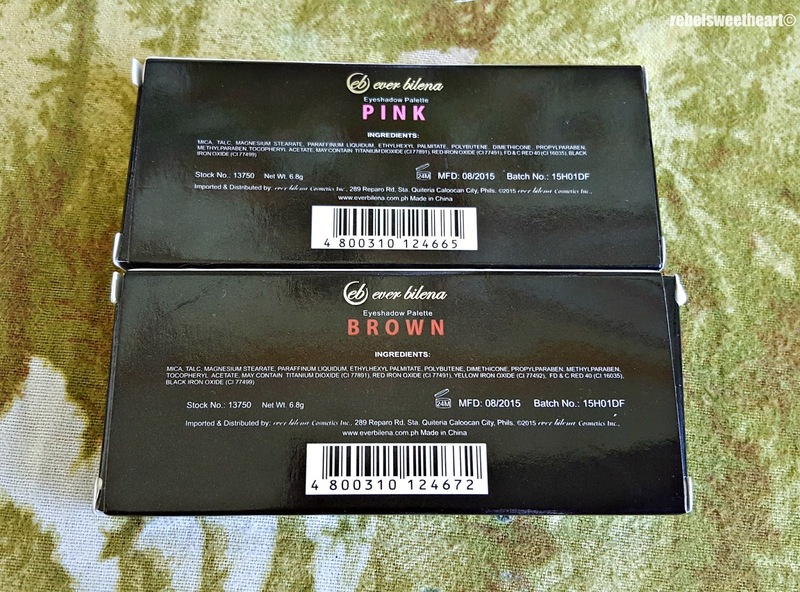 And inside one of those packages were these Eyeshadow Palettes from Ever Bilena. 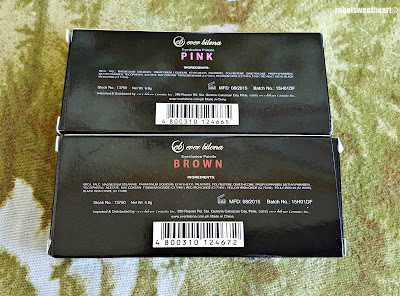 These palettes were launched sometime last December, and it's always a thrill for me to get first dibs on Ever Bilena's new products. Ingredients and other product info at the back. The Ever Bilena Eyeshadow Palettes come in a sleek and compact packaging with a transparent plastic lid. Underneath the lid is a mirror, which comes in handy when you're travelling, and the usual sponge tip applicator. 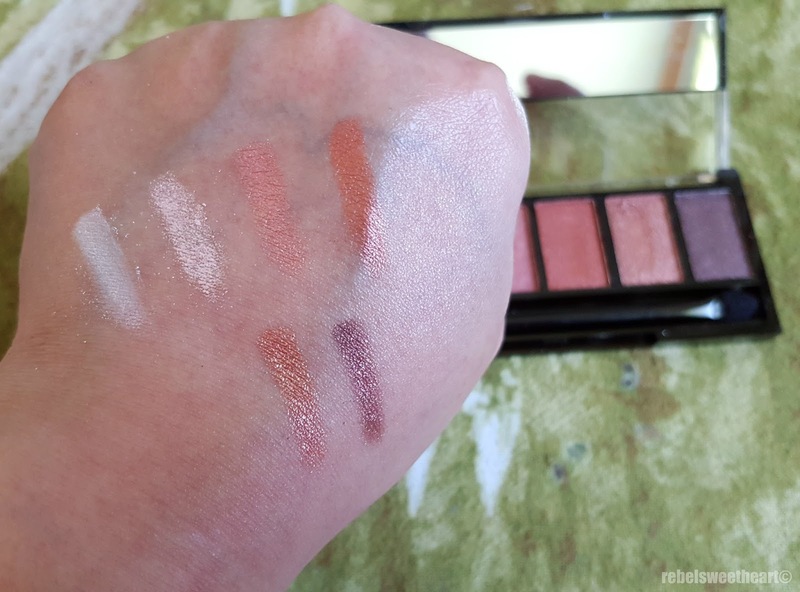 Both palettes contain six eyeshadow pans. 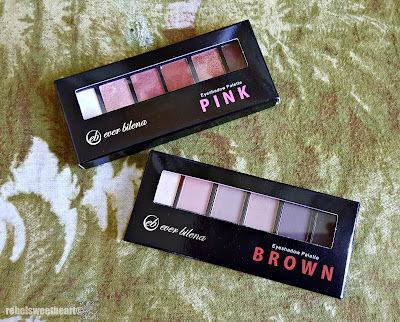 Ever Bilena Eyeshadow Palette in Pink. 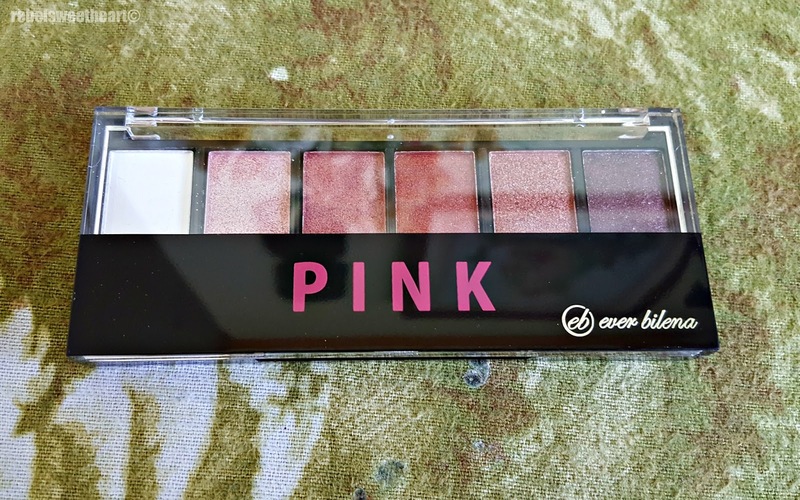 The shades in the Pink Eyeshadow Palette are warm, vivid, and shimmery, which makes this palette more suitable for parties and nights-out. The first two shades in this palette can be used as a highlighter, while the right-most shade can be used as an eyeliner. Shade #3 is a lovely frosted pink shade, while shades #4 and #5 are gorgeous hues of rose gold. Shades 1-4 at the top, shades 5-6 at the bottom. On the other hand, the Brown Eyeshadow Palette contains cool and muted earth colors that are perfect for daily wear. 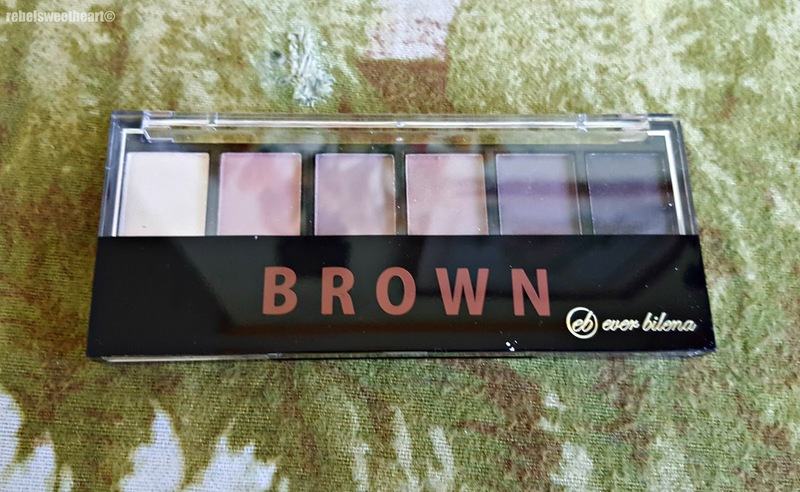 Ever Bilena Eyeshadow Palette in Brown. The leftmost shade in this palette can be used as a highlighter, while the last shade on the right can double as an eyeliner. Shades #2 and #3 have a matte finish, while shade #4 has a pearlescent finish with a hint of shimmer. Gotta love them earth colors! 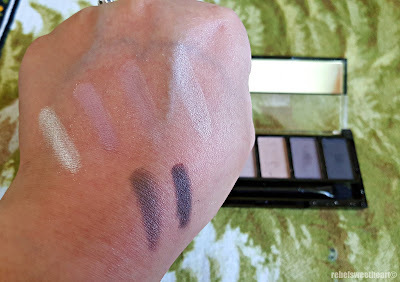 I love how all the shades in both palettes are nicely pigmented, and how the colors stay on for hours. I also love the soft, buttery texture of these eyeshadows, which makes them easy to apply and blend. They do have a bit of fall-out so I suggest you use a primer to lessen the fall-out and to extend the product's wear time as well. Shades 1-4 on top, shades 5 and 6 at the bottom. The best part? 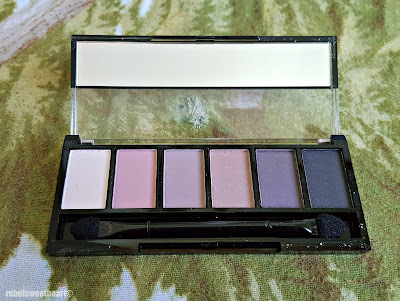 These eyeshadow palettes cost only Php 150 each! Not only are they very affordable, they can also be easily bought at department stores, supermarkets, and even drugstores nationwide. Those are all so lovely! I like the brown shades more than the other one. I really wish I knew how to actually put on make up sometimes! I am not much a makeup girl. But, I liked the pink shades. I think it will go with my skin tone the best. Wow! Very affordable, I do love EB products especially these eyeshadows, I'd like to try the Brown EB. Foodie Goodie | Cusina de Sabang. Seoul Searching | Mouse Rabbit Cafe. Spotlight | To PH With Love. Seoul Searching | Gyeongbokgung Palace. Seoul Searching | Bukchon Hanok Village.